Google announced the long-awaited rollout of similar audiences for Search. Similar audiences can be built using data from past site visitors known as remarketing lists for search ads (RLSA). In the same breathe the company also officially announced the global availability of customer match targeting for shopping campaigns. Google first teased the expansion of similar audiences from display to search-based campaigns last May with similar audiences for search, Google targets users searching for the same things as users recently added to RLSA lists meaning it takes into consideration the kinds of searches users were performing when they landed — or even converted — on an advertiser’s site, which pushes forward Google's constant drive for more personalisation. The Similar Audiences feature can be set up to be automated and based on remarketing tags and visitors to your product categories. There is also an update to the Customer Match targeting for Shopping campaigns. 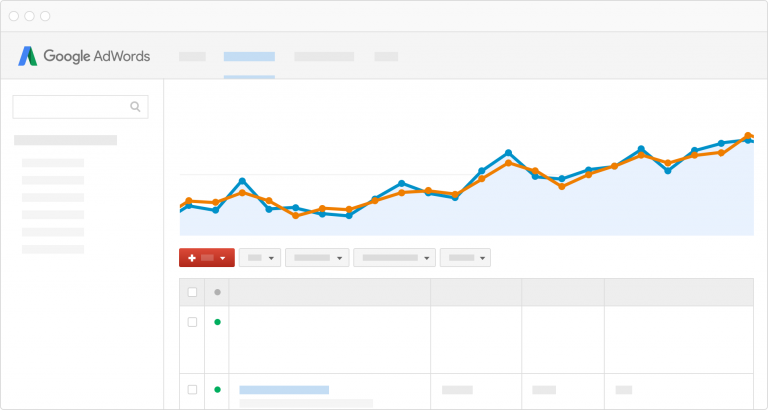 Google allows you to, if you so choose, increase the bids by 25% for people who visited your site in the last month, or show different ads to visitors who have added items to your shopping cart but not purchased. Remarketing allows you to reach people who have already visited your site and connect with an audience that's already interested in your products or services. You probably also want to find new visitors for your site, and which you can do by finding people who have similar search behaviour to your existing remarketing list members. Similar audiences help you find people who share characteristics with your site visitors. By adding "Similar audiences" to your campaign or ad group targeting, you can show your ads to people whose search behaviour is similar to those of your site visitors. These people are more likely to be potential customers. Similar audiences targeting takes the guesswork out of discovering new audiences by automatically finding potential customers who are similar to people are your existing remarketing lists for search ads. With similar audiences, you can boost the reach of existing remarketing campaigns, and drive to your site new, more qualified users who have an increased likelihood of performing actions that are important to you. Even if these new visitors don't immediately make a purchase from your site, if you've added the remarketing tag to your site, they'll be added to your remarketing list. This way, you can get more high-quality members on your remarketing list in a way that is intuitive and easy to manage. People on your original remarketing list are automatically excluded from the corresponding similar audience list. So, if visitors who are in a similar audience list get added to your remarketing list because they match your list definition, they'll be removed from the similar audience's list. AdWords looks at the search activity in a short time frame around when visitors are added to your remarketing list to understand aggregate search behaviour of visitors in your list. Based on this information, the system automatically finds new potential customers whose search behaviour is similar to that of people in your remarketing list. Say you've created a remarketing list of people who bought running shoes from your sporting goods site. Instead of helping you reach broad groups of people interested in "running," similar audiences will identify that people on this list tended to search for "triathlon training" and "buy lightweight running shoes" before coming to your site and making a purchase. Based on this, similar audiences will then find other people with similar search behaviour, such as people who searched for 'buy lightweight running shoes'. Your similar audiences lists will automatically get updated as the original list evolves and people change their search activity. So, you don't need to update the similar audience list after it gets created. A similarity in search behaviour to create a corresponding similar audience. Similar audiences can't be created based on the behaviour of individual users, and AdWords can only define a similar audience for your own remarketing lists. Also, people who don't want to be included in similar audiences can opt out through their Ads Settings. Similar audiences give the modern search marketer a lot more personalisation possibilities and more targetted content, giving them overlapping CRM abilities, which will be very interesting for many marketing teams. This is will create a new environment for CRM marketers and paid search marketers to take into their portfolio as well as giving businesses an opportunity to lower ROI, CAC and increase return visits and make the most of your captured data. What do you think of similar audiences? Is it something you're already using? How are you finding it? Let us know your thoughts in the comments below.